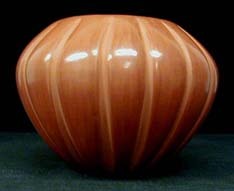 Also known as Tawa. 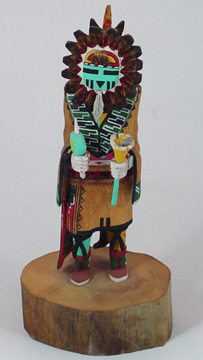 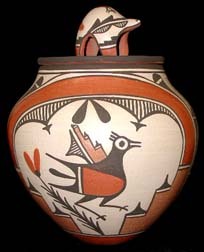 The Sun Kachina is a representation of the spirit of the Sun, though he may on occasion be called the Sun Shield Kachina. 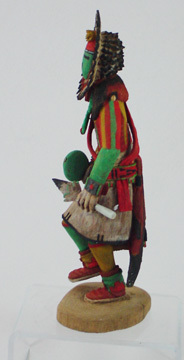 He appears in a role very similar to that of Nakiachop or Talavai, standing to the side with a spruce tree in his left hand and a bell in his right. 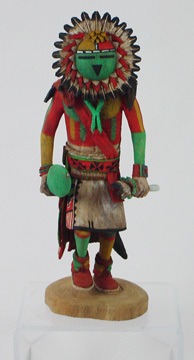 Also, he may appear in a Mixed Dance with the flute in his left hand that is associated with him in many myths. 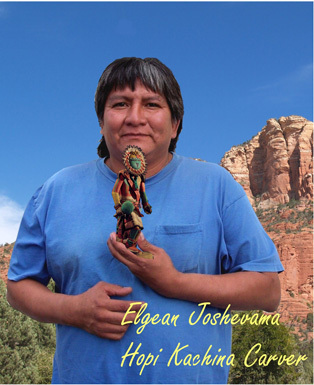 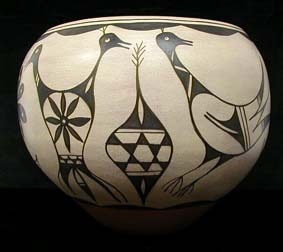 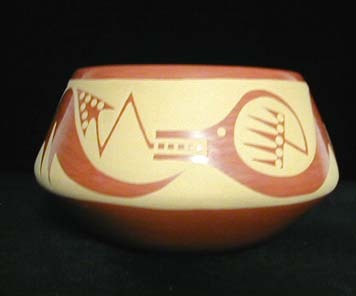 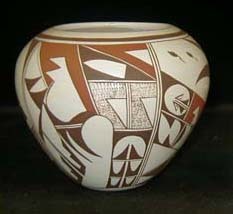 Elgean Joshevama, Jr. was born on May, 15 1964 at Yuba City, AZ a member of the Sun clan at Hopi and resides in Lower Moenkopi, AZ; Hotevilla, Third mesa, AZ. 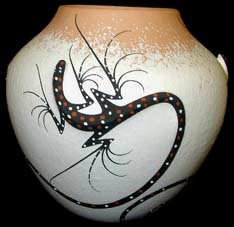 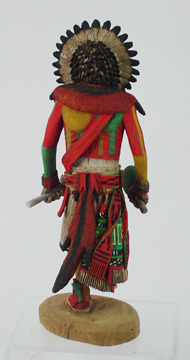 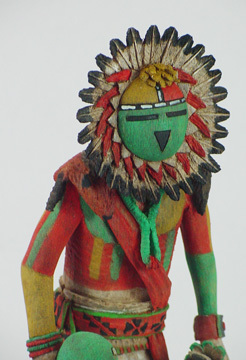 He has been carving single-piece Kachina dolls since about 1990.